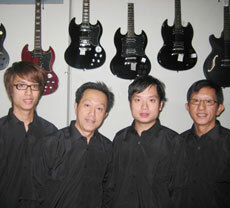 One of the most popular Asian bands who specialise in all styles of Asian music. 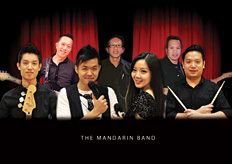 This band can feature Chinese, English and Vietnamese singers. They play all styles of music including all Ballroom dances. Dance the night away to the exciting sounds of the hottest Latin Bands in the land such as SONORA GALAXIA, FRECUENCIA QUATRO, BAMBALEO, LATIN KINGS, BANDOLERO, LATIN SOUL or LOS DEL TROPICO. Dance to the rhythms of: The Cha-Cha, The Samba, The Salsa, Lambada, Macarana, or the Tango. Feel as if you're in the streets of 'Rio De Janeiro' at 'Carnivale' time. Listen to the instruments of the gypsy kings or the captivating sounds of Gloria Estefan. But-- if the Lambada proves too much for some, sit back and catch a glimpse of the body & soul dancing demonstrations of dance in breathtaking costumes from countries such as Bolivia, Argentina, Chile, Spain, Mexico or Uruguay. This show can also be held as a dance night or with a complete floor show. 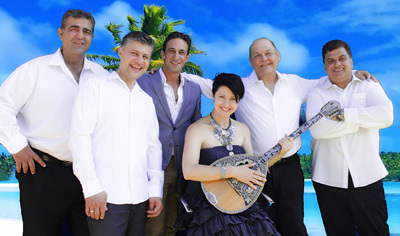 Top Greek Bands include PARADISE (5 pc Band) or TOKEFI (5 pc Band) who play all of the modern hits from Greece plus popular Greek standards. Female vocalists can include MARIA STAVROPOLOUS, JOANNA, EFI or ANA SEVO. Male Vocals can include MARIO, NICK DRIMOUSIS, DAVID or JOHN LAGOUTARIS. Greek Dance groups can include PAROULA THURBEN GREEK DANCERS, HOLY CROSS GREEK ORTHODOX DANCERS, CRETEN FOLKLORIC DANCERS, CYPRUS COMMUNITY DANCERS or PAN MACEDONIAN DANCERS. BELLYDANCERS can also be included for the evening. This night can be run in two different ways. One can be a 'Dance Night' OR the other is a floor show with plenty of dancing. 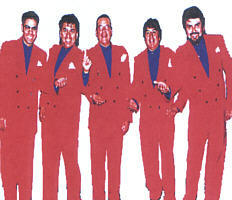 Top Lebanese bands include A.M.W. Band, MAGED Band, TONY CHAHINE Band & THE STARS Band. Singers can include, SAMARA, LAHOOD ALHATCHEETE, NEMOR SLEEMAN, RIMA ELIAS & GHAZZI NASSOUR. No Lebanese night would be complete without a Bellydancer. Presenting the top Chinese bands & singers. Bands include SOUNDSCAPE, THE RUNNERS, & THE TRAVELLER. Singers include ANSON BANG, LARAINE LI (Pei Fang), JOHN CHANG, CINDY (Jing Yu) & ROSITA. This night can also be presented as a Festival with Chinese dance groups, sight acts & the Chinese Lion Dance.